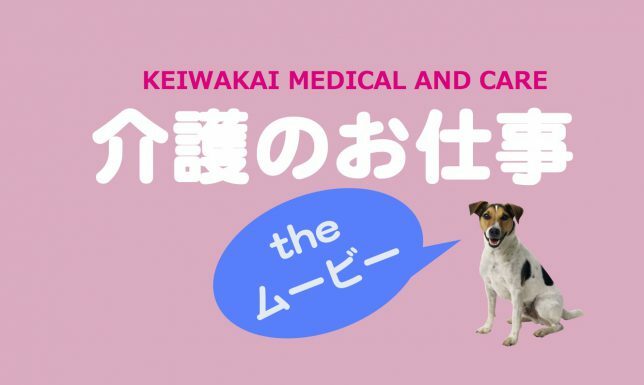 The Keiwa-kai Group has about 40 offices in Kawasaki City.About 500 staff members are working on “various work”.So in this section we show you “various work” by video.We hope you will feel the image of working. Nursing care work the movie (digest)：We will introduce work in Day Service Center, Dementia Day Service, group home, Small scale multi-functional home. Health check：We check the temperature, blood pressure and pulse of the client.If an abnormality is found, we deal promptly.We collaborate with medical institutions if necessary. Brain training：In dementia care management facilities, we offer a variety of brain training.In addition to calculations and kanji, we also sing songs as music therapy, and draw pictures. Meal assistance：In the facility that provides meals, we cook according to health recipe, and eat meal assistance. Function training program：Based on a unique program developed by physiotherapists and occupational therapists, we provide guidance and support for training.You also need to pay attention to changes in the physical condition of on client during program provision. Bath assistance：One of the fun care management activities for clients is bathing. We provide comfort and safety such as shampooing, washing.Many facilities introduce a machine bath so that clients can take a bath with peace of mind. Excretory assistance：For clients with servere case, assistance with excretion is necessary.We also do diaper change. Bed assistance：There are tricks to move on client from a wheelchair to a bed.As a caregiver may become prone to low back pain, it is necessary to acquire the right skills. Recreation：We prepare many kinds of recreation for clients to enjoy everyday life.We do them from preparation to execution. Induction/Driving：Staff who possesses licenses and received predetermined field tests may carry out a pickup service for clients.We pick you up based on the route determined in advance. Night shift/Night watch：In group homes and small multi-function homes, there are night shift and night watch.We have to check the state of the clients in night, and standby work in case of emergency. Visiting care：In small-scale multifunction home, there is visiting care service to users home. For sample to deliver lunch boxes, or to tidy up.